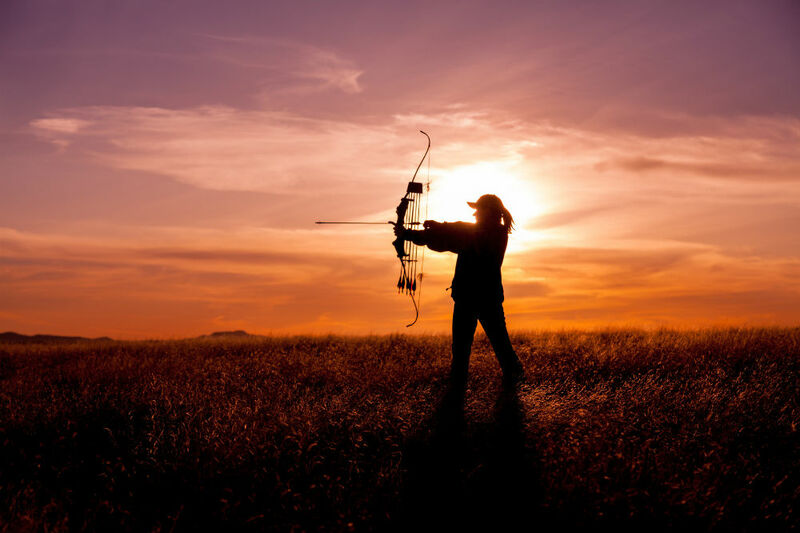 Recurve bows are the popular choice in the sport of bow hunting. These bows are washer to use as compared to compound bows. 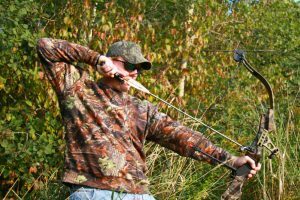 Recurve bows offer a good deal of accuracy and range, both of which are essential in bow hunting. 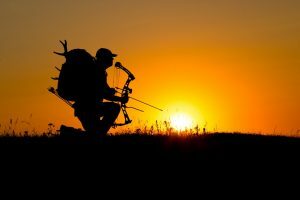 However, it is their versatility for which bow hunters opt for them. It is possible to achieve a good deal of power in different ways with them. Their compactness is also a valued aspect since bow hunters carry a lot of gear with them. Among recurve bows, an excellent choice would be the TigerShark Recurve Bow from Southwest Archery. The bow has been finely crafted out of 4 different kinds of wood. 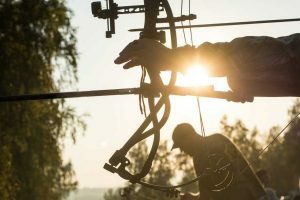 The woods have been chosen on the basis of their strength so as to ensure that the bow is robust and yet flexible enough to add to the power of each shot. 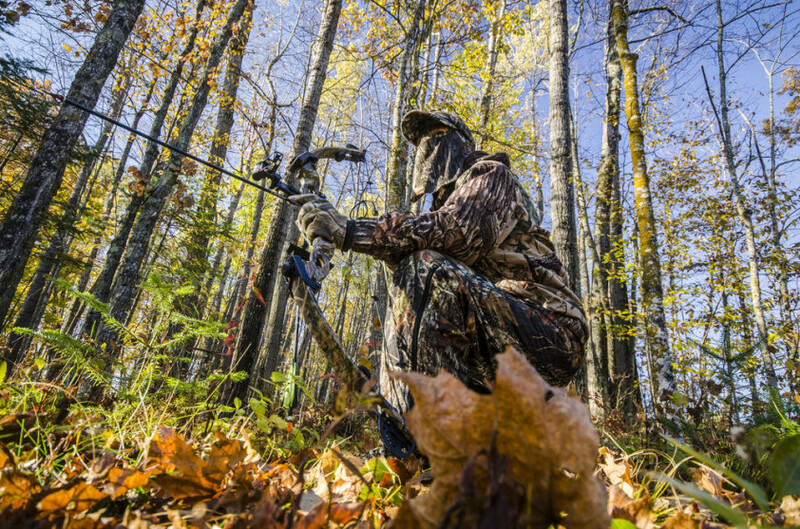 It has several features that will of interest to the bow hunter. Southwest Archery enhances its value by offering some useful additions such as a bow stringer. Some of the features of the TigerShark Recurve Bow are as follows. 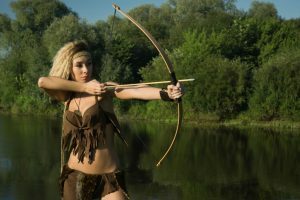 Bow hunters and target archers will find the following features to be beneficial in this bow. While it is overall a good package, there are a few things that users might not like about this takedown recurve bow. The TigerShark Takedown Recurve Bow is certainly a beautiful bow. The use of multiple woods makes it aesthetically pleasant apart from enhancing its strength and capabilities. Experienced archers should notice the similarity of the design of the TigerShark to the Samick Sage. This is to be expected considering that the engineering team behind the Sage is also the one that designed the TigerShark. Only the manufacturers are different. As it is a takedown model, this recurve model can be dismantled into 3 parts for storage and movement. 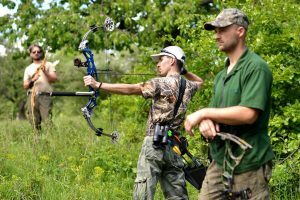 It is extremely easy to ready the bow for shooting. Instructions are present for the users. However, the use of bolts creates a bit of hassle since an Allen wrench needs to be carried all the times. Another potential issue is the use of Dacron string. While good, many archers might prefer the more efficient fast flight string. Replacing the string will not be an issue since the price of the bow is quite low. Considering its quality, the price is certainly affordable. The deal is made better by the availability of options. There are different kits available with different items. The standard kit offers an arrow rest, something that archers are sure to find beneficial. Users will also like the fact that there is no hand shock offered by the bow. Southwest Archery is quite a good manufacturer of bows and their TigerShark recurve bow lives up to their reputation. However, there are other good bows in the market. A comparison with similar models can help in understanding just how good the TigerShark actually is. The most obvious comparison is with the Samick Sage Takedown Bow. The TigerShark has been modelled after the Sage and has been created by the same time. As a result, there are quite a few similarities between the two including their low prices. Nonetheless, the Samick Sage happens to be the better choice thanks to the better kit it offers. One of the major issues that some archers might find a problem with is the brass plunger. Another good choice is the SAS Explorer. Unlike the Sage or the TigerShark, this bow makes extensive use of aluminum. This adds to the strength of the bow, decreasing the likelihood of it breaking. Both, the Sage and the TigerShark, have varieties for right-handed and left-handed users. The SAS Explorer is meant to be used only by right-handed archers. There is a height limitation of six feet. Archers taller than six feet cannot use this bow properly. As for the cost, it is lower than the other two bows. While the Sage may seem like the better choice, the TigerShark can hold its own. It can be used by right-handed as well as left-hand users. Its low weight makes it suitable for all users, from children to adults. It is ideal for use not only by novices but also experienced archers. There are certainly a few things which can be improved upon but they can be adjusted without much hassle. 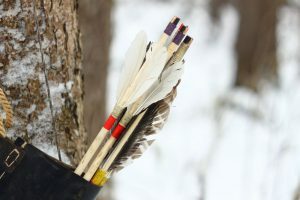 As for accessories, Southwest Archery offers a range of them. Some of them are available as options which can be purchased alongside this takedown bow. 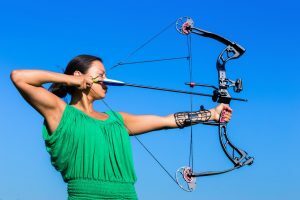 The manufacturer has ensured that this bow is compatible with the other limbs it makes, which can certainly be beneficial to the expert. The range of draw weight makes this tool is helpful. It enables archers of all strengths to enjoy using this bow. Since the limbs are reinforced, it is possible to use fast flight strings. First-time archers will appreciate the low price at which the TigerShark Recurve Bow is available. The quality of this bow is good enough to match up to bows with a significantly higher price tag.